U.S. refineries bought millions of dollars worth of oil stolen from Mexican government pipelines and smuggled across the border, the U.S. Justice Department told The Associated Press - illegal operations now led by Mexican drug cartels expanding their reach. Criminals - mostly drug gangs - tap remote pipelines, sometimes building pipelines of their own, to siphon off hundreds of millions of dollars worth of oil each year, the Mexican oil monopoly said. At least one U.S. oil executive has pleaded guilty to conspiracy in such a deal. On Tuesday, the U.S. Homeland Security department is scheduled to return $2.4 million to Mexico's tax administration, the first batch of money seized during a binational investigation into smuggled oil that authorities expect to lead to more arrests and seizures. "The United States is working with the Mexican government on the theft of oil," said Nancy Herrera, spokeswoman for the U.S. Attorney's office in Houston. "It's an ongoing investigation, with one indictment so far." In that case, Donald Schroeder, president of Houston-based Trammo Petroleum, is scheduled to be sentenced in December after pleading guilty in May. In a $2 million scheme, Herrera said, Schroeder purchased stolen Mexican oil that had been brought across the border in trucks and barges and sold it to various U.S. refineries, which she did not identify. Trammo's tiny firm profited about $150,000 in the scheme, she said. Schroeder's attorneys said in an e-mail that neither they nor their client would respond to AP's requests for comment. Bill Holbrook, spokesman for the National Petrochemical & Refiners Association, said a single indictment against a small company should not be used to smear the reputation of the entire U.S. oil industry, "and is not indicative of how domestic refiners operate." But in Mexico, federal police commissioner Rodrigo Esparza said the Zetas, a fierce drug gang aligned with the Gulf cartel, used false import documents to smuggle at least $46 million worth of oil in tankers to unnamed U.S. refineries. A law enforcement source told CBS News illicit proceeds from the scheme involving theft from the Mexican government-owned Pemex oil conglomerate were seized in the investigation. In a surprising public acknowledgment, Mexican President Felipe Calderon said last week that drug cartels have extended their operations into the theft of oil, Mexico's leading source of foreign income which finances about 40 percent of the national budget. "These are Mexican resources, and we do not have to sit back or turn a blind eye," Calderon said. "This is our national heritage and we must defend it." Highly sophisticated thieves using Pemex equipment "are basically working day and night, seeing how they can penetrate our infrastructure," said Pemex spokesman Carlos Ramirez. The thieves, operating in remote parts of the country, have even built tunnels and their own pipelines to siphon off the product, he said. How much of the stolen oil is crossing into the U.S., and how much of the theft is at the hands of cartels? So far, nobody knows. "These questions are really the center point of all of this," Ramirez said. He said cartels in northern Mexico are responsible for most of the theft, though he said there may well be internal operatives at Pemex stealing as well. Last week, police raided Pemex offices looking for insider misconduct. Trammo, the sole company named in court records so far, is dwarfed by any refiner most people have heard of. It sells some 2.1 million barrels a year. Major refiners such as San Antonio-based Valero Energy can produce more than that in a single day, buying crude from tankers or pipelines, and none has been implicated in buying stolen oil. "It is Exxon Mobil's policy to always obey relevant laws, rules and regulations everywhere we operate," said spokesman Kevin Allexon. Shell Oil Co. said it abides by all laws. Various kinds of petroleum products, including gasoline, are being stolen and sold to gas stations and factories in Mexico, said Ramirez, adding that service stations in at least two states have been shut down recently for selling stolen gas. The thefts are a devastating blow to Pemex, which saw production fall 7.5 percent in the first half of the year. So far this year, Pemex is aware of 190 different thefts, almost half in the Gulf state of Veracruz. Ramirez said Pemex is using hidden cameras, extra guards and additional investigators to catch the thieves, but the problem is still spreading: So far this year, oil theft is up 10 percent, and have been confirmed in 19 states, up from 13 in 2008. And oil theft experts say that just like drugs, the crimes will be tough to stop as long as there's money to be made. 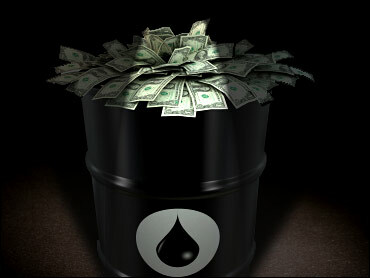 "U.S. refineries willing to buy stolen crude don't care where it comes from. Once the product is at their doorstep, the deal is done, and they can pay pennies on the dollar without taking the risk of getting it across the border," said Kent Chrisman, director for global security with Oklahoma City-based Devon Energy. Chrisman, a former Secret Service agent, recently teamed up with Texas law enforcement agents to bust a ring of thieves in that state. Oil theft in general is a relatively new problem, Chrisman said, "but we've seen a big spike in recent years because oil prices went up. Every year it seems to get worse and worse. It's a profitable business."